Tonight and tomorrow, Yud-Tes [the 19th of] Kislev, is the 235th yahrzeit of the Maggid of Mezritch, who succeeded the Baal Shem Tov as the leader of the Chassidic movement. We previously posted about The Maggid's Niggunim here. It was also on this date, in the year 1798, that the founder of Chabad Chassidus, Rebbe Schneur Zalman of Liadi (1745-1812), was freed from his imprisonment in Czarist Russia. I’d like to present some interesting anecdotes that transpired between these two great Rebbes. In return for a favor, Rebbe Schneur Zalman of Liadi once asked the Maggid to reveal the Baal Shem Tov's essence. After careful thought, he commented, "Had he lived in the times of the Tanaim [authors of the Mishna], he would have been a wonder; in the era of the Prophets, an innovation; and, in the period of the Patriarchs, noteworthy." Had Rebbe Schneur Zalman not heard it from his Rebbe the Maggid, he wouldn't have believed that the Baal Shem Tov was mortal. One night, Rebbe Schneur Zalman of Liadi knocked on the Maggid's door. "Who's there?" asked the Maggid. "It is I," said Rebbe Schneur Zalman. "Who?" Rebbe Dov Ber repeated. "It is I," Rebbe Schneur Zalman replied. "Who?" the Maggid inquired again. "Schneur Zalman," he answered. With that, he was finally admitted. At the Maggid's request, the next day Rebbe Schneur Zalman went to a bris mila [circumcision] held in a nearby village. Seeing Rebbe Schneur Zalman's old and tattered clothing, it was assumed that he was a beggar, and he was seated at the end of the table. When a silver spoon was found missing after the seuda [festive meal], the "beggar" was immediately suspected of theft. Denying the charge, he shouted, "It was not I!" His accusers began to beat him. "It was not I," he repeated. Eventually, it was discovered that an attendant had taken the spoon, and Rebbe Schneur Zalman was exonerated. When he returned to Mezritch, the Maggid was waiting for him. "How many times did you have to shout, 'Not I'?" he asked his astounded student. "Two times you announced to me, 'It is I,' he continued. "There is only One in the universe who may say this. If we are aware of Hashem's presence, how can we, mere mortals, pride ourselves on being 'I'? We must strive for total bitul, self-effacement. "Twice you called yourself 'I,' so two times you had to announce, 'It is not I.'" "Before I came to Mezritch," said Rebbe Schneur Zalman of Liadi, "my main means of worship was intellectual contemplation, for I dared to think it would arouse love and fear [of G-d] within me. In Mezritch I learned that on the contrary, love and fear arouse the intellect! "When the Maggid opened his mouth," he said, "the Shechina [Divine Presence] spoke through him and he was not in this world...." Another time he declared, "What do we know of Ruach HaKodesh [the holy spirit, a form of prophecy], or of wonders? In the Maggid's house we drew Ruach HaKodesh in full measure; the miracles rolled under the benches, and there was no time to pick them up." When Rebbe Schneur Zalman once came to Berditchev, long after the passing of the Baal Shem Tov, all the scholars there marveled at his Torah genius. "Mine is nothing compared to that of my master, the Maggid, and his son, the Malach. And both of them followed in the footsteps of the holy Baal Shem Tov, whose genius was incomparable," he said. What else did the author of the Tanya gain from the Maggid? "Elsewhere one learns how to master the Torah. In Mezritch, one learns to let the Torah master you." 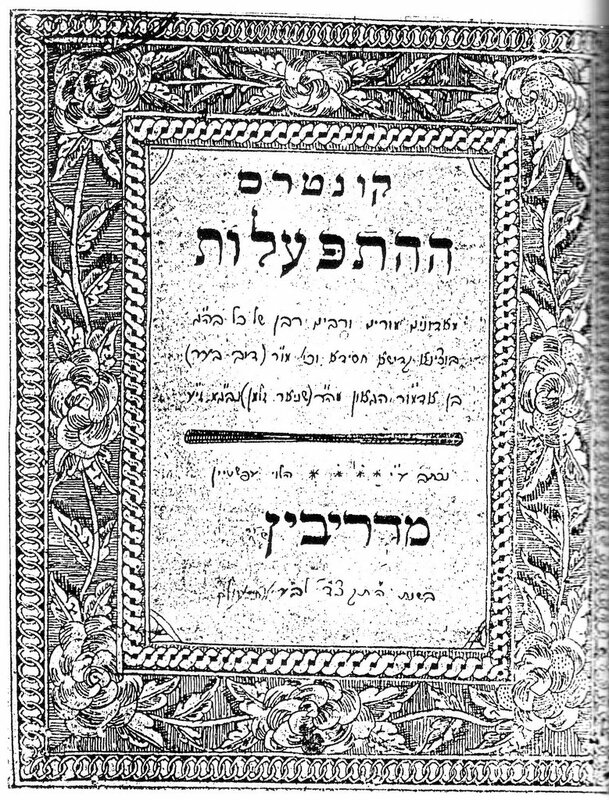 In the summer of 1772, Rebbe Schneur Zalman of Liadi came to Rovno, where the Maggid was living. When Rebbe Zusia told him that Rebbe Dov Ber had asked that he come, Rebbe Schneur Zalman sighed deeply and fainted. Even after he revived, he was feeble and bedridden. Rebbe Menachem Mendel of Vitebsk and the Rebbe Reb Zusia went to tell the Maggid what had occurred. His reaction: "Rebbe Zalmanyu," for thus did he refer to his beloved Talmid, "has the feelings of a son. I was like a son to my Rebbe, the Baal Shem Tov, and he is like my son." His pupils did not understand Rebbe Schneur Zalman's weakness and their Rebbe's reaction to it until that winter, in the month of Kislev. At that time, looking at the mournful faces of his disciples, who realized that their master was nearing death, the Maggid told them: "What you feel now, Rebbe Zalman felt last summer." ...He then turned to Rebbe Schneur Zalman. "Zalmanyu," he said, "give me your hand. You will remain alone, you are for yourself - you have your own way. You will need a lot of help from Heaven. I will yearn for you very much, and G-d willing, I will save you from all your troubles." According to the Chabad tradition, he also said to him before his passing: "This day is our Yom Tov (festival)." The news of the Maggid's passing caused a dispute between the local chevra kadisha (burial society) and the Maggid's followers as to who should bury him. The latter claimed that they should serve him in death as in life. They soon arrived at an adequate compromise: Disciples who were members of the chevra kadisha in their home towns would take priority in the burial. Those pupils then cast lots to see who would bear which part of the Maggid's body. Rebbe Schneur Zalman was privileged to hold his head. When the time came for the Tahara rites (which include immersion in a mikveh), Rebbe Schneur Zalman said, "Our Sages say that Tzaddikim are greater in their death than in life. It is not fitting, therefore, for us to tilt our Rebbe's head and immerse it - he himself should do so." He then released the head, and it immersed itself three times. Zechuso yagein Aleinu v’al Kol Yisrael – May the Maggid’s merits protect us all! I heard this incident from the brother of the one who heard it first-hand, named Rav Avraham. There is a Modzitzer Chassid who lives in the Lower Galil, on Kfar Gideon, just outside of Afula. As you can imagine, someone dressed in Chassidic garb is a bit unusual to find on the Egged buses in this part of the country. So my friend's brother, Rav Avraham, is traveling on the bus and a man spots him and asks him if he's a Gerer Chassid. R. Avraham says, "No, I'm a Modzitzer." So the man says, "Nuch besser - even better - I have a story to tell you about your Rebbe." Of course by now R. Avraham's curiosity was piqued, and he was "all ears." When Rebbe Shaul of Modzitz ZT"L [great-grandfather of the present Rebbe Shlita] was still in Europe, a young man was seen in his Beis Medrash, smoking on Shabbos! The Chassidim didn't know what to do with this, so they went and told the Rebbe. When the Rebbe, who was a big man - tall and broad - heard this, he began to run towards the man who was smoking. But the man just continued, undaunted, to puff away. When Rebbe Shaul approached him, he said to him, "B'farhesia - in public - you dare to do this?" From that day on, the man never smoked on Shabbos. All week long he would smoke, but not on Shabbos. Other than that, he was completely non-observant. He came to live in Eretz Yisrael, and raised his family in one of the secular kibbutzim in the Lower Galil. His children couldn't figure it out - this man didn't keep Shabbos, he smoked all week long, yet on Shabbos, Abba never lit up! It got to them so much that they decided to investigate what Shabbos is all about. I probably don't need to tell you that they are fully observant Jews by now - just from that "B'farhesia?" statement of Rebbe Shaul of Modzitz! And yes, the one who told the story was one of these children! As Reb Shlomo Carlebach used to say, "You never know!" At the Tish this past Thursday night, a new sefer was on sale called "Emes L’Yaakov." It was written by one R. Yaakov Emanuel Koppel z"l, who was the son-in-law of the Divrei Yisrael, the first Modzitzer Rebbe, and thus a brother-in-law of Rebbe Shaul, the second Rebbe. He was also a Chassid of both of them, as well as of the Imrei Aish, the third Rebbe. This anecdote appears in the sefer. "The Rebbe, my brother-in-law, was once in Lodz [the author’s hometown]. Late one night, about 1 or 2 in the morning, the gas lamps weren’t giving good light, because of the intense cold. We were discussing the mind’s ability to grasp things delicately and quickly, which some people are blessed with. "The Rebbe then told me that he does not count the grains of wheat when they are ground into flour, to be baked into matzos for Pesach. Rather, he looks at them carefully and he knows their amount. I was amazed by this, and he offered to be tested. "I went to a cafeteria and found a jar of coffee beans, and placed them before him. He studied them for a moment or two, and he called out a number, which was very close to the actual amount. It took me a full five minutes or more to actually count them. I tried this a number of times, and each time I was amazed at the results. "The Rebbe then told me that if a person puts his entire concentration on the object he is looking at, he can grasp the amount in a moment. "And then he added – 'This is the secret of davening [prayer]. One should daven in this way.' "
Zechuso yagein Aleinu v’al Kol Yisrael – May the Imrei Shaul’s merits protect us all! Today, 9 (Tes) Kislev, is both the birthday and the 180th yahrzeit of Rebbe Dov Ber of Lubavitch, the Mittler Rebbe. Tomorrow, 10 (Yud) Kislev, is the anniversary of his release from prison. 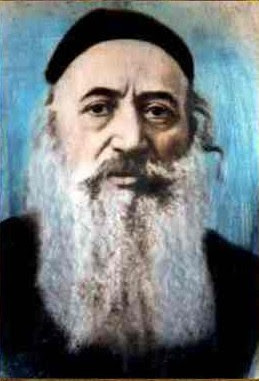 Rebbe Dov Ber was the famous son of a very famous father – Rebbe Schneur Zalman, the founder of Chabad, and of the distinguished line of the Schneerson family of Lubavitcher Rebbes. Rebbe Dov Ber was the oldest of three sons, and he succeeded his father as the head of the Chabad Chassidim. It was he who made Lubavitch – a small town in White Russia – his residence, and it continued to be the center of Chabad for over 100 years. 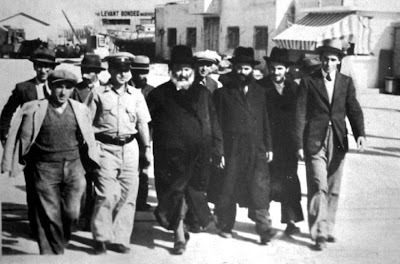 This is how the heads of Chabad became known as "Lubavitcher" Rebbes, and the Chassidim as "Lubavitcher" Chassidim. There are niggunim that are so powerful, so real and authentic, that they loom larger than life and larger than their composers. It’s as if they came into being together with the world. One such niggun is the one I’m about to describe. Later this week, on the 13th of Kislev [Thursday night-Friday], is the yahrzeit of Rebbe Yisrael, the first Modzitzer Rebbe, known as the Divrei Yisrael. Rebbe Yisrael developed the Modzitzer tradition of Avodas Hashem [Divine service] through Negina. His niggunim traveled way beyond the environs of Modzitz, and were and are sung far and wide. Most amazingly, perhaps his best-known niggun [or certainly one of them] is one that many don’t realize that he composed. Composed in 5660 , it was set to “Amar Hashem L’Yaakov” on the second Modzitzer Melave Malka recording, which came out in the 1960s. Rebbe Shaul Yedidya Elazar [the second Rebbe]’s son told me that his father used to sing it to Yedid Nefesh. Every Modzitzer Rebbe’s descendant and Chassid walks down to the Chupa to this niggun. In Yeshivas Sh’or Yoshuv, which I attended, every Chasan walks to the Badecken [when the Kalla’s veil is drawn over her face by her Chasan, just before the Chupa] to this niggun. So while many people know this niggun, there seems to be a bit of confusion as to its composer, as mentioned. For instance, Daniel Ahaviel, a virtuoso violinist, plays this tune on his VeAhavta recording, but calls it “Melody from the [or, ‘Niggun Ha-] Baal Shem Tov” [click on “CD Back View”]. You can hear this recording here. Apparently taking his cue from Daniel, Reb Moshe of Tzfat also refers to it as the Baal Shem’s niggun, on his music/video page [click on “audio”, then scroll to and click on the Baal Shem niggun, you can play and/or download it from there]. Finally, there appears to be a claim by Vorker Chassidim [today’s descendants are Amshinov Chassidim] that this is a Vorker niggun. This apparently arose because there were definitely visits by Vorker Chassidim to the Divrei Yisrael in Modzitz, where they presumably learned the niggun and brought it back to Vorke. Over time, its origins were forgotten and they assumed one of their Rebbes [or Chassidim] had composed it. [We have also have anecdotes about encounters between the first Vorker Rebbe and Rebbe Yechezkel of Kuzmir, the Divrei Yisrael’s grandfather]. In fact, in a recent release of a recording called “L’Chaim Tish III,” this tune is sung [Track 6] to “Asader L’Seudasa” [one of the Arizal’s Aramaic poems; this one is recited or sung at the Shabbos daytime meal]. And the credit for the composition is listed simply as “Vorke.” I was somewhat surprised at this, especially since they sing two other Modzitz niggunim on this CD, “Yibaneh HaMikdash,” composed by Reb Shaul, the second Rebbe; and “Kadsheinu” composed by the Imrei Aish, the third Rebbe. Moreover, this mistake was a main impetus for this post, to set the record straight. Our good friend ASJ has outdone himself once again, in his interview with Shlomo Katz regarding "composing" niggunim. Don't miss it, and I hope to add some comments too! 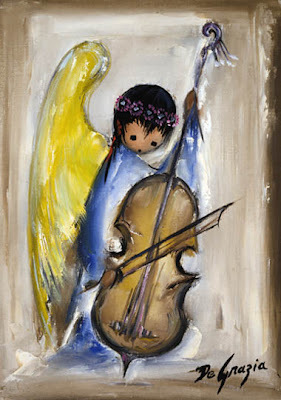 The following, Music & Angels, was posted today on Reb Moshe of Tzfat’s "I Love Torah" blog. I have included the two comments, and have added one of my own here as well. Rabbi Tzvi Aryeh Rosenfeld taught that it is very important for a person to learn to read music, but even better to be able to play. He said that once a person leaves this world for the eternal one, they will hear the songs of the angels and many holy things which require understanding of music. Rebbe Nachman taught that through the musicians' intentions while playing a song, they can separate good from bad - both from themselves and from those listening. Lyrics and sounds which are played by those who have Yiras Shamayim [fear of Hashem], will bring the listeners to simcha [joy]; while lyrics which have bad intentions, or even by just the musician thinking sinful thoughts while he is playing, can [have a negative] impact [on] the listener. Hila Says: When I was first becoming close to Torah, I told some families I felt like there was a time when we only sang - when it was only music. Speech came later, a downgrade of sorts. Now we have to work to upgrade the speech again! Music connects all of us. Ever notice when a niggun is really being sung, you cannot differentiate your own voice–one voice. One people with one G-d! Reb Moshe Says: Over the years, many people have written me that they could sometimes hear the songs of the malachim, angels. This generation is not far from being able to hear, we just have to try to listen. As Reb Moshe says, may we, too, be zoche to hear such wonderful niggunim!